Julius Exter (1863-1939) was one of the founders of the "Munich Secession", an association of avant-garde artists. In 1902 he acquired and converted the historic "Stricker" property, and in 1917 settled here permanently. It was here that Exter developed the unmistakable style of his later work: the colourful pictures, among them many landscape paintings, illustrate his progression from symbolism and neo-impressionism to expressionism. 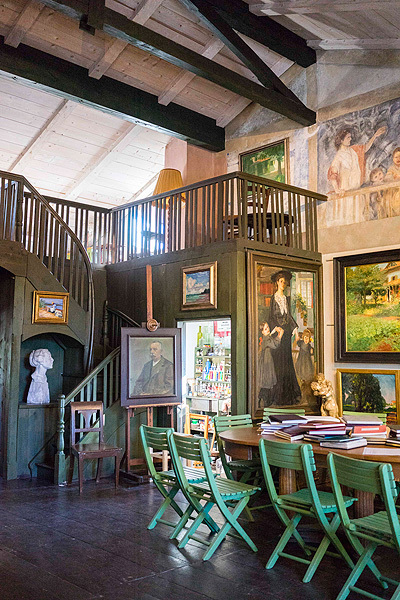 The study and atelier of this artist today house a permanent exhibition of his works. More paintings by the artist can be seen at the Julius Exter Art Gallery in the Augustinian monastery (Old Palace) on Herrenchiemsee Island. 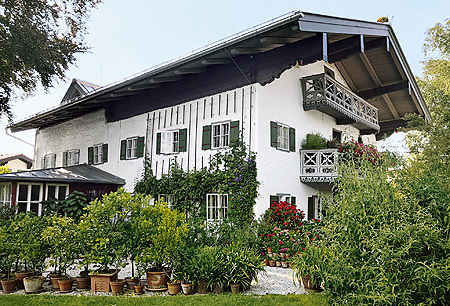 Julius Exter's House is open only during summer exhibitions (admission charge: 2 euros).